What’s the connection between a failed moon mission and global Carbon Dioxide levels? I was rewatching Apollo 13 recently, you know the movie with Tom Hanks stating the biggest understatement in history: “Houston we have a problem”. If you haven’t seen it or can’t remember, it’s a fantastic true story about human ingenuity. The year is 1970, it’s NASA’s seventh manned space mission and the 3rd to the moon. Another routine trip. Little did anyone anticipate what was about to unfold. Two days into the mission and more than halfway to the moon, one of the oxygen tanks exploded. (Incidentally, the oxygen wasn’t just for breathing, it was used for Hydrogen fuel cells to provide electricity, heat and the by product of Hydrogen fuel cells, water.) At that point, with the moon in clear sight, the crew knew they would not be able to land on its surface. Coming so close, the mission had to be aborted. Not just that, they still had the small problem of how to get back home to Earth. Now, with disaster looming and their lives in the balance, mission control decided to transfer the crew to the undamaged lunar landing module. The problem was that the lunar module was designed for only 2 people for 2 days, but now 3 people had to survive in it for 4 days, the duration of the journey back to earth. The maths just didn’t work out. Space travel is obviously quite a risky endeavour, you take off in rocket containing more than 200,000 gallons of fuel, you’re subject to intense radiation exposure, dodging debris and meteorites and just a thin metal sheet separates you and a vacuum that will kill you very very quickly. But, for the Apollo 13 crew, drifting back to Earth on a powered-down spacecraft, with limited food and water and too cold to sleep, the most dangerous thing was actually their own exhalation. Carbon Dioxide (CO2) levels on board were rising to dangerously high levels as the chemical scrubbers that absorb the CO2 on board were depleted. The effect of increased CO2 concentration on humans is well documented. In large amounts it’s toxic and moderately high levels can impact mental functions such as memory recall and it’s my go-to excuse for falling asleep during a lecture. Luckily, the abandoned command module had spare scrubbers. 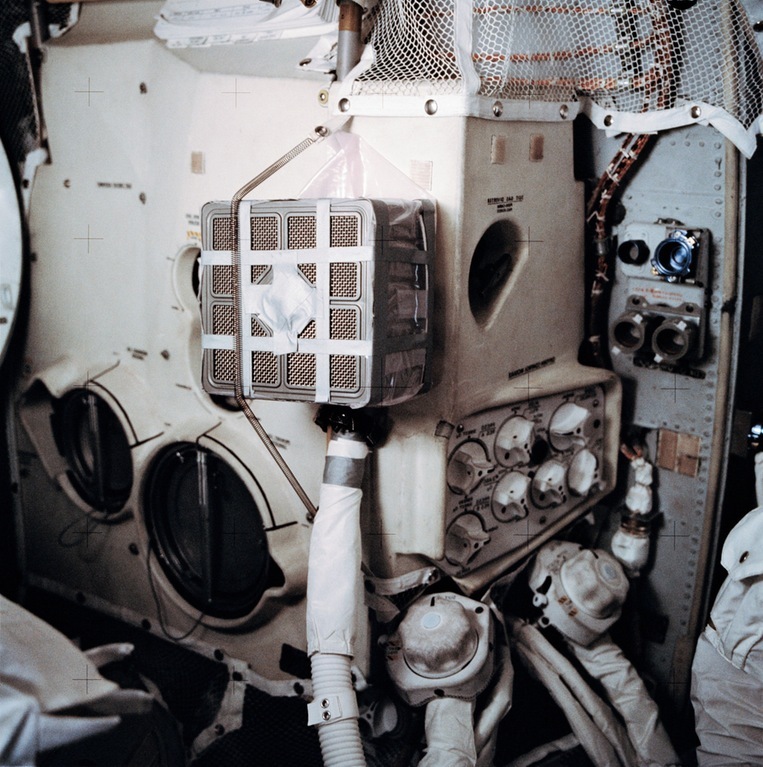 However, due to design differences in the two modules, they had to work out a way using only the onboard equipment, some card, plastic bags and duct tape to fit large square scrubbers from the abandoned module into the smaller round holes of the lunar module. This part is a particular highlight of the story for me, it demonstrates ingenuity and creativity under extreme pressure and the resilience we as humans have in the face of adversity. With a few more adjustments and course corrections, the crew returned safely to Earth 2 days later, splashing down in the Pacific Ocean. Recently, I’ve been reading a lot about global CO2 levels and its implications. We are all aware that CO2 levels are rising and this is bad news for the global climate.The movie got me thinking again about its effects on us. 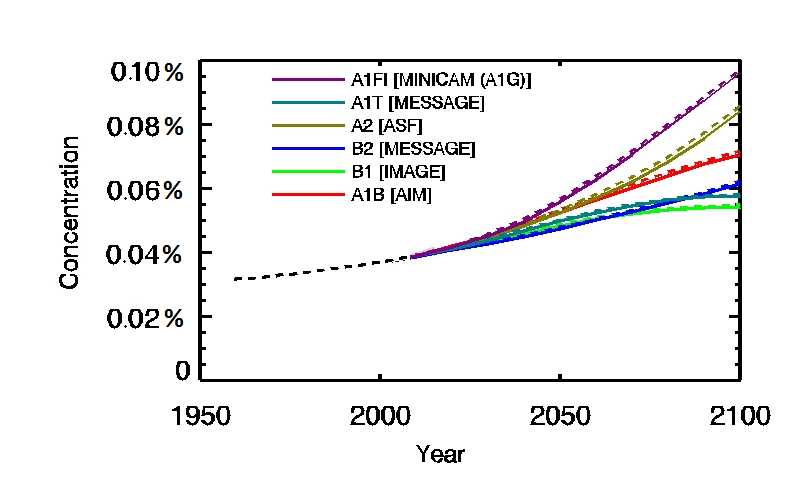 Humans have evolved in an atmosphere with low concentrations of CO2 varying in the range of 0.01-0.03%. What will happen to our physiology with elevated levels that we are projected to experience over the coming generations? With global temperatures rising we may be forced to spend more of our time indoors, where CO2 concentrations tend to be higher than outdoor ambient levels. What do we do when the air outside isn’t as fresh anymore? Just in case you were wondering, the CO2 levels on board Apollo 13 rose close to 6%. I would hazard a guess that part of NASA’s training for the early Apollo missions required astronauts to be able to function at high levels of CO2. More recently, correlations between elevated CO2 levels and headache frequency on board the International Space Station have been observed and research has shown that at levels of 1%, decision-making abilities are impaired and at 2.5%, cognitive functions decline to a ‘dysfunctional’ level. Just like the astronauts aboard Apollo 13, the planet is in a fragile position. High levels of CO2 in the atmosphere will be more than just a big headache for the planet. And just as then, we need a collective effort of ingenuity and creativity to reduce global CO2 levels to avert impending disaster.